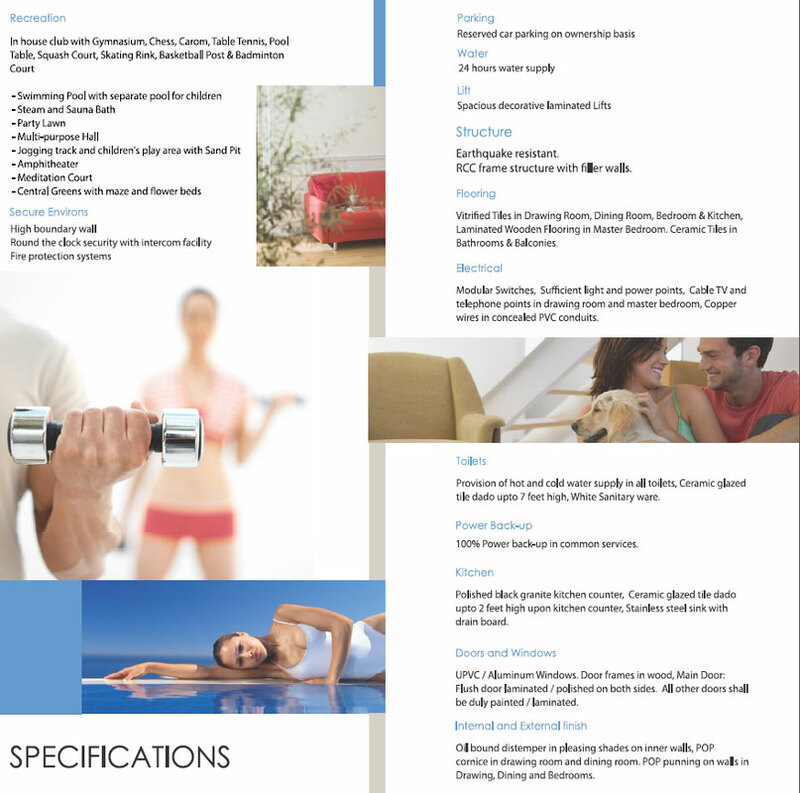 Himalaya Pride (Ready to Move Apartment in Greater Noida West) is the on going residential project launched by us. 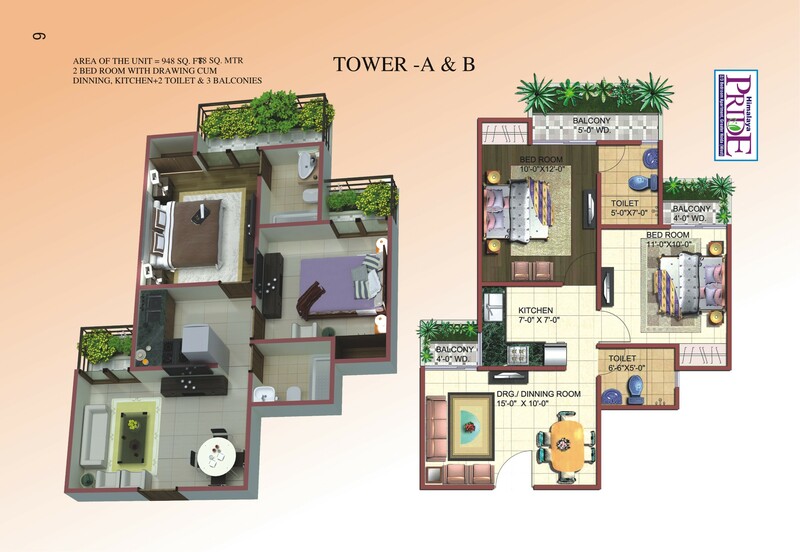 It offers a wide range of 2/3 and 4 BHK Apartments at affordable price. 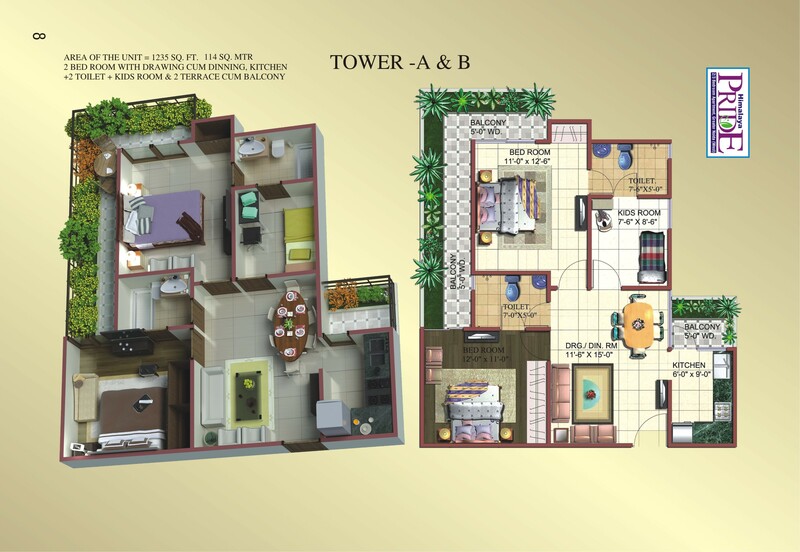 (2BHK Flat size is 948) (2BHK+Study Size is 1127, 1235 and 1188) (3BHK Flat size is 1440 and 1453) (3BHK Premium size is 1535 and 1671) And the last (3BHK+Study size is 1974) and also available Commercial Shop in front side, so you do not need to go anywhere for shopping. The spaces will the be reserved for basic commercial units such as chemists, grocery shop, bakery, laundry service, stationary stores, Flower shops ect. 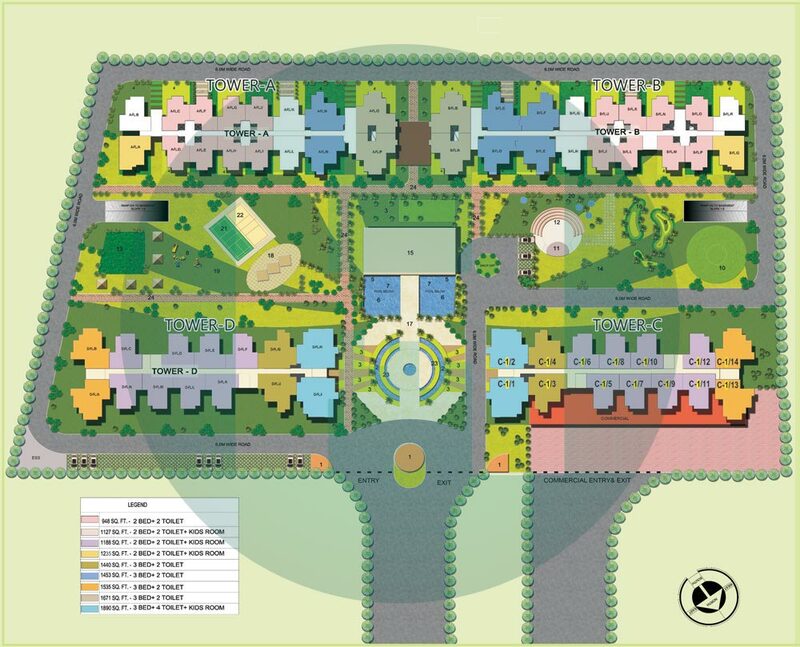 We have constructed homes for more than 1000 families and living with a complete satisfaction in vaishali, indirapuram and Ghaziabad. 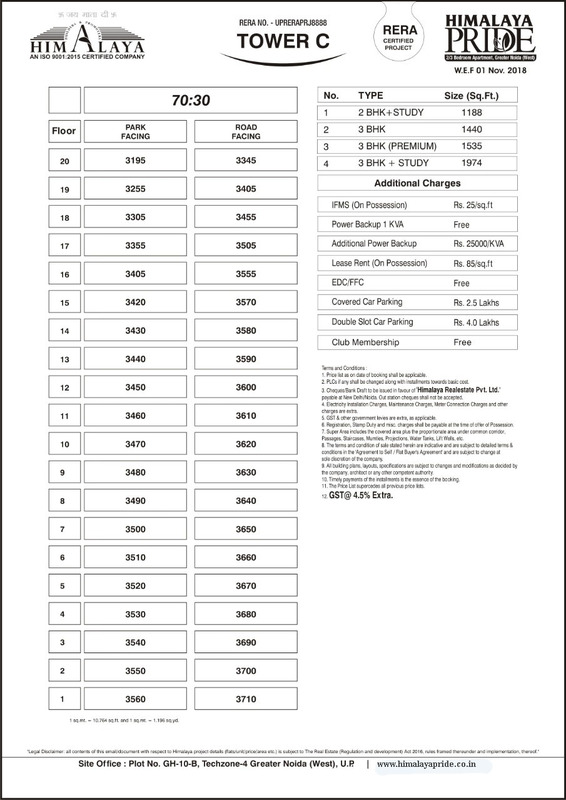 Himalaya Pride is located at prime location of Noida Extension, one of the most preferred locations for upcoming residential properties in Greater Noida (West). 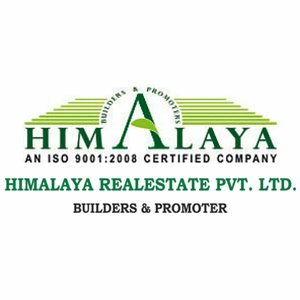 Himalaya Pride approved noida authority, OC received project and the project is registered under by RERA, The residency shall be set up over a total area of 7 acres in which (Towers A & B- 3.51 acres, Tower C- 1.99 acres and D- 1.40 acres). 100 Mt. green belt facing units, 20 floors building, Just by a 130 mtr wide road which a further connects it to NH 24, Offers the most modernistic comforts and conveniences, which include a swimming pool, a state of the art gymnasium, a club house, Bar, Security, CCTV Cameras, Meditation Area, Wi-Fi connectivity, RO water System, Full Power backup, Earth quake resistant, Private terrace & Garden, Vastu Friendly, Rain water harvesting, multi-tier security surveillance and a sports facility. Covered & reserved car parking. 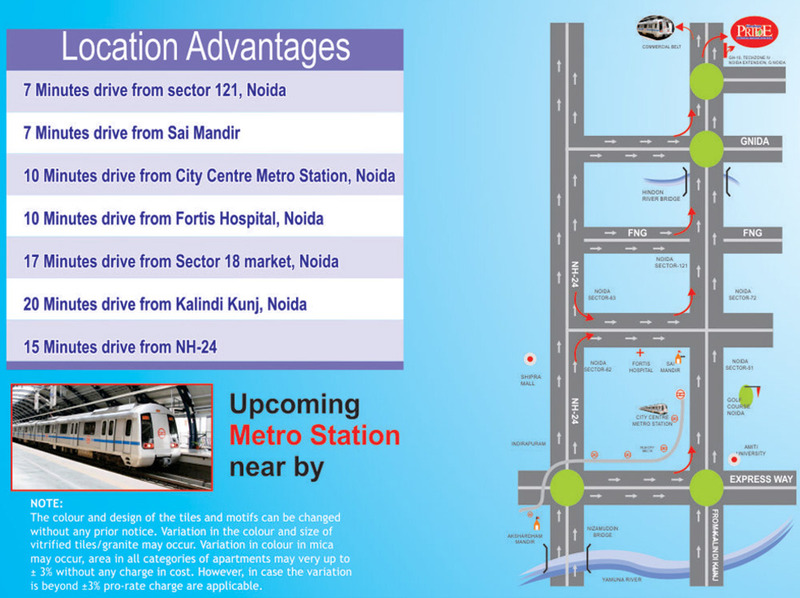 Property approved for loan from all banks (Axis bank, HDFC, LIC Housing, Bank of Baroda, Canara Bank, Corporation Bank, ect) Techzone 4 is a prime locality of Greater Noida West and further the expansion of the delhi metro and the upcoming delhi to Mumbai industrial corridor will strengthen its connectivity with other localities as well. 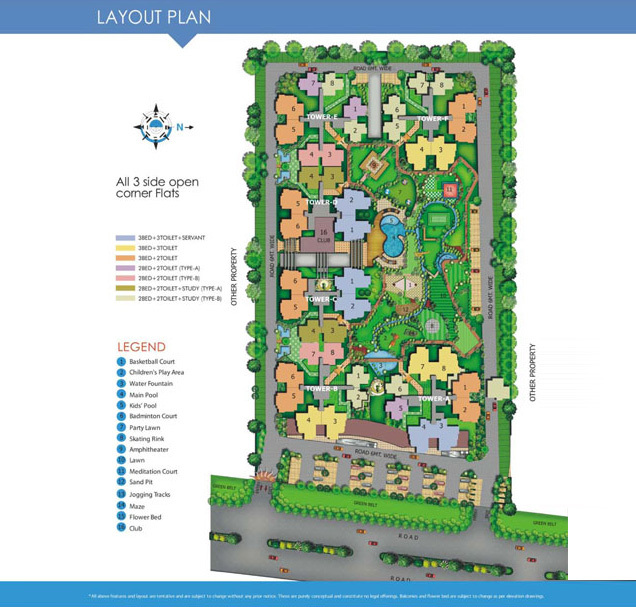 The project well designed complex with beautiful landscape. 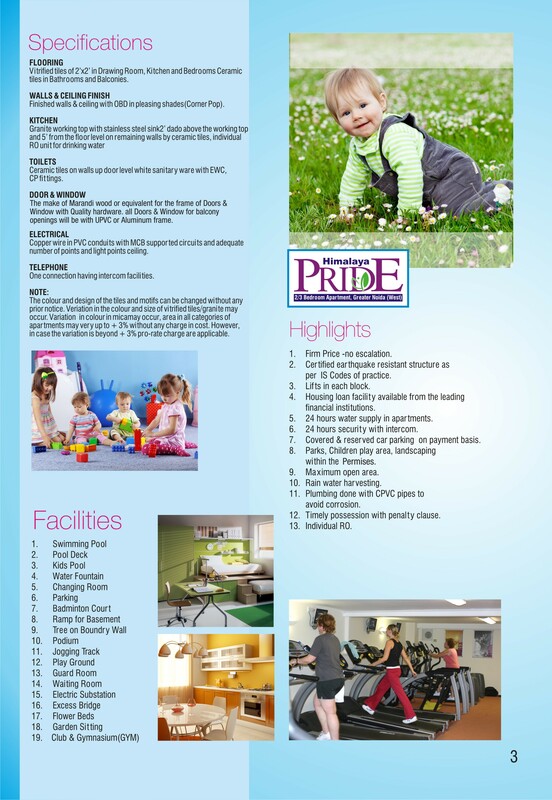 80% Open landscaped area with Himalaya pride Noida Extension Pride. 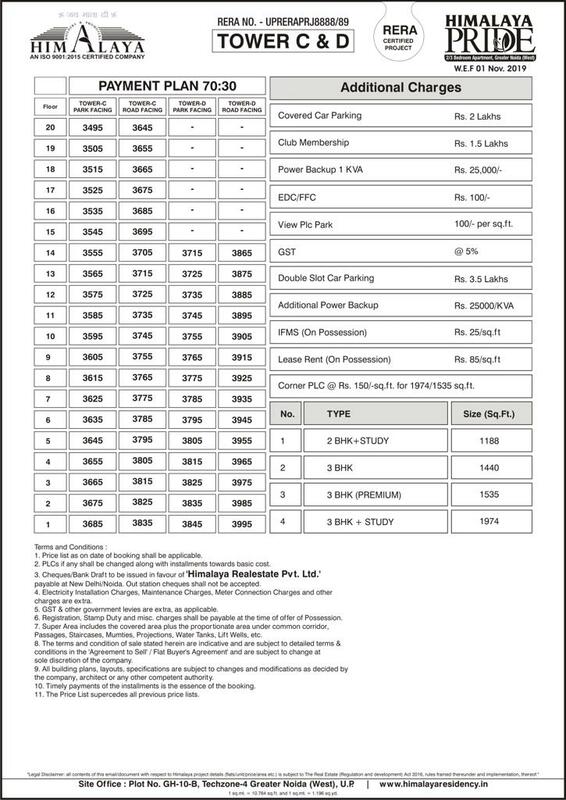 Now or offers (Till 31st January 2019): Ghar ke sath Free Alto 800 Car and Medical Health Insurance Policy Free for 4 Family Members. Certified earthquake resistant structure asper IS Codes of practice. Housing loan facility available from the leading financial institutions. 24 hours water supply in apartments. 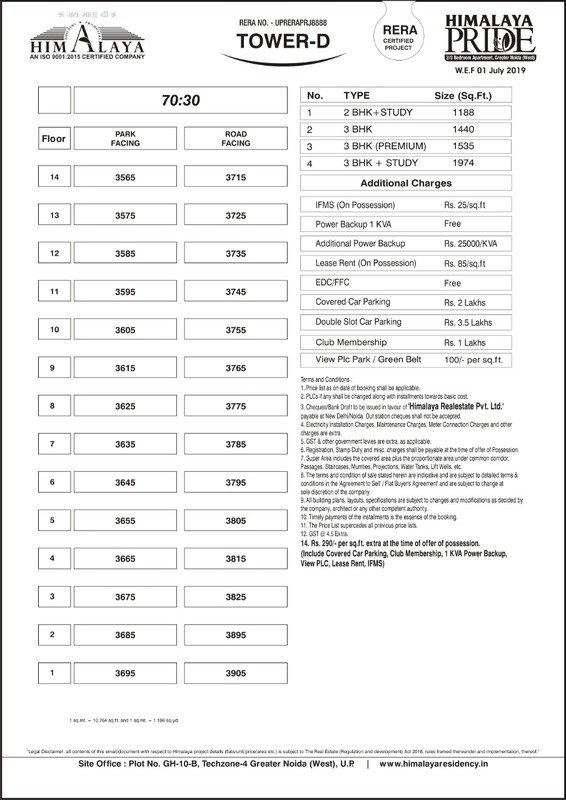 Covered & reserved car parking on payment basis. Parks, Children play area, landscaping within the Permises. 2 Bed + 2 Toilet + 3 Balconies - Saleable Area: 948 Sq. 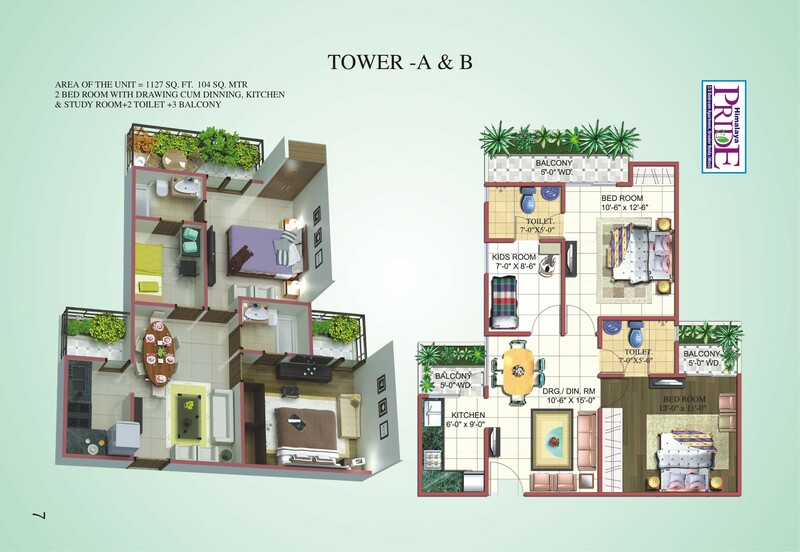 Ft.
2 Bed + 2 Toilet + 3 Balconies - Saleable Area: 1127 Sq. 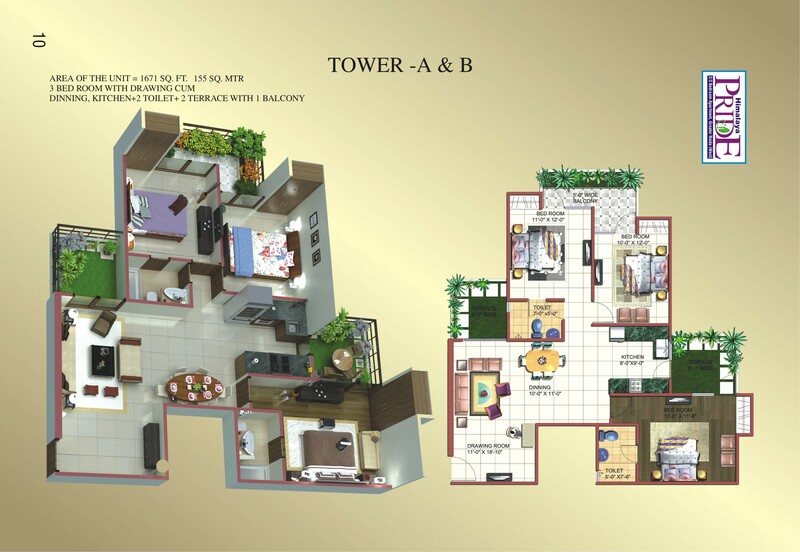 Ft.
2 Bed + 2 Toilet + Kids Room - Saleable Area: 1235 Sq. 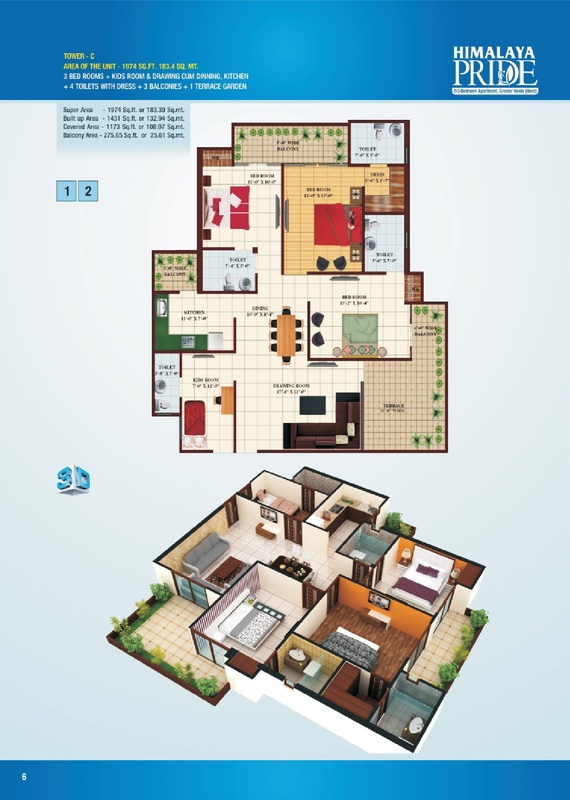 Ft.
3 Bed + 2 Toilet + 3 Balconies - Saleable Area: 1453 Sq. 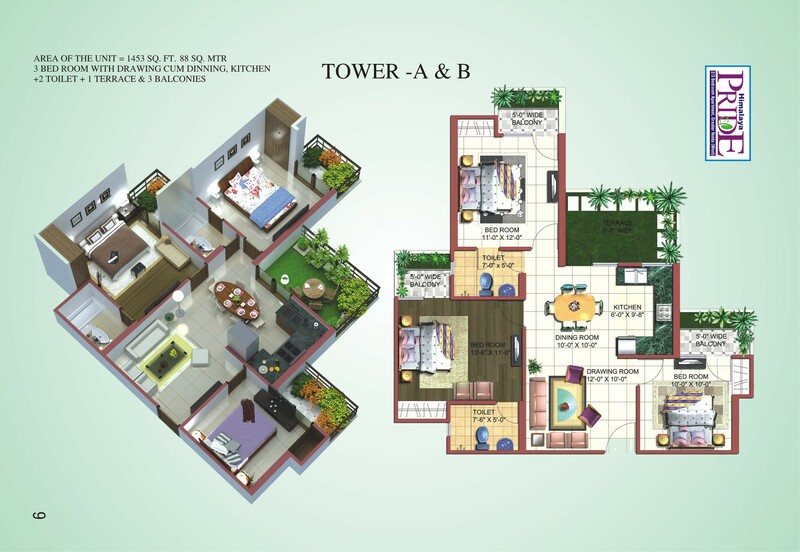 Ft.
3 Bed + 2 Toilet + 4 Balconies - Saleable Area: 1671 Sq. 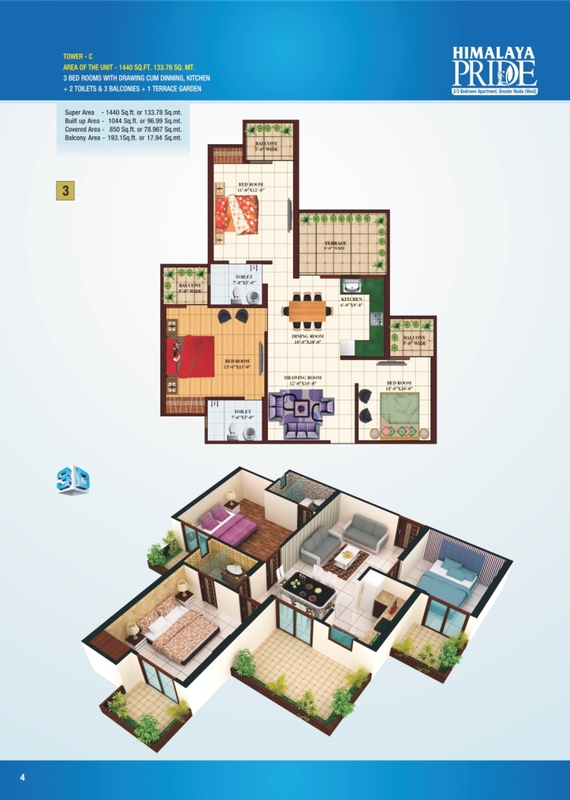 Ft.
2 Bed + Study + 2 Toilet +3 Balconies - Saleable Area: 1188 Sq. 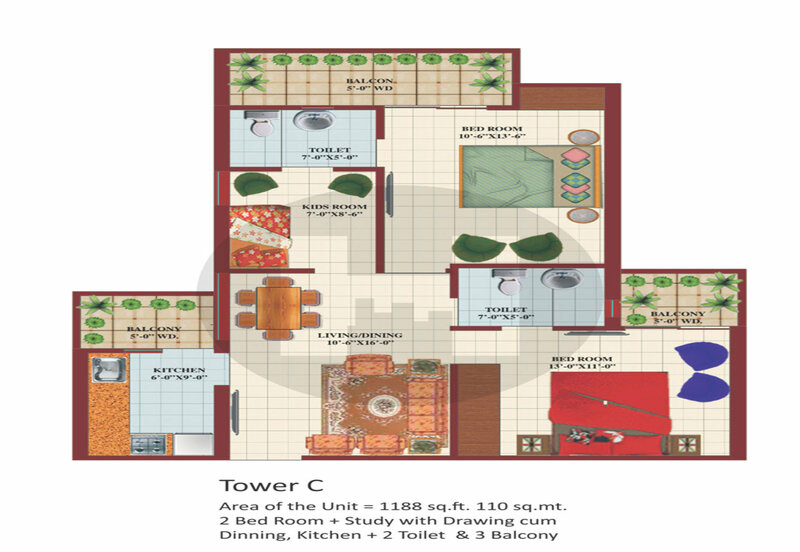 Ft.
3 Bed + 2 Toilet + 3 Balconies - Saleable Area: 1440 Sq. 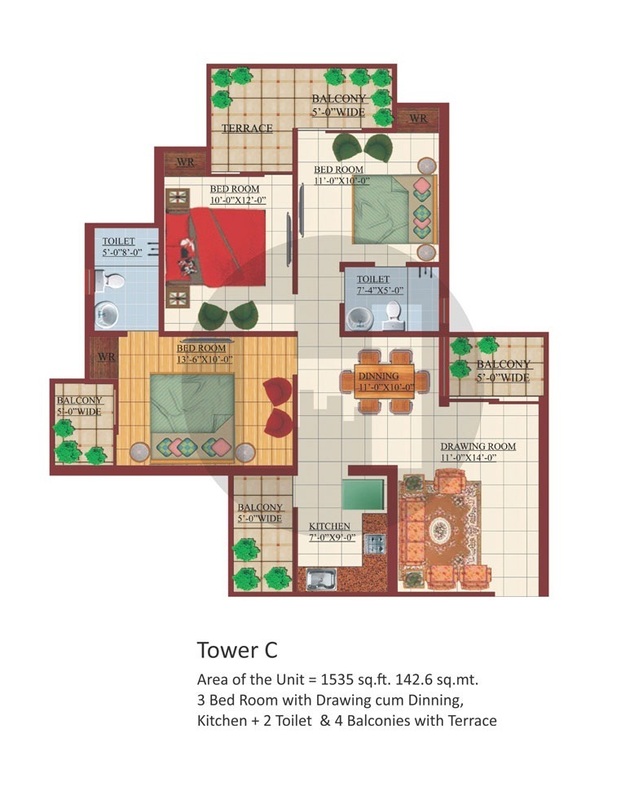 Ft.
3 Bed + 2 Toilet + 4 Balconies - Saleable Area: 1535 Sq. Ft.
3 Bed + 4 Toilet + 3 Balconies + Kids Room - Saleable Area: 1974 Sq. Ft.